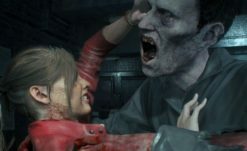 It’s getting close to the final stretch, so what else is there left to talk about for RE2 Remake other than the Survivor modes? Shown off on Twitter today, we get some pretty good looks at the pair in their new forms, The 4th Survivor, and its goofball version, The Tofu Survivor. Together, they are two of Resident Evil 2‘s most iconic nerd cred modes, being two of the hardest things in the entirety of the original game. 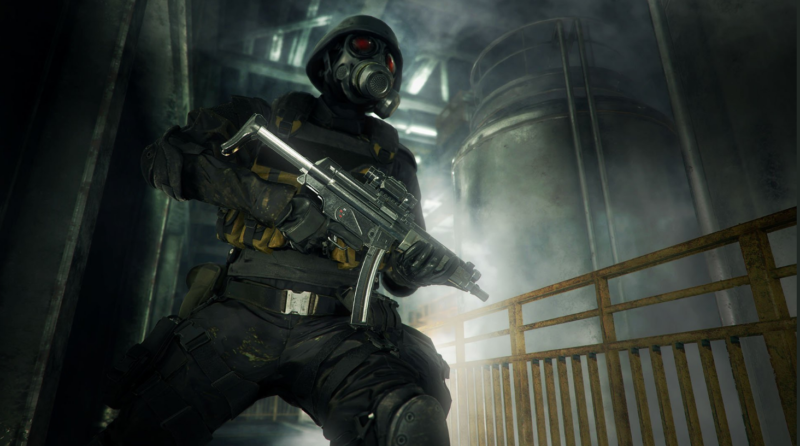 The 4th Survivor, unlocked for getting an A rank in either scenario, sees USS mercenary HUNK attempt to escape Raccoon City with a sample of G-Virus he obtained from William Birkin. Extremely difficult in the original game, HUNK faces off against an endless onslaught of zombies and monsters in a race to the RPD heliport. HUNK is a fan favorite (on about the same level as Star Wars’ Boba Fett — few scenes and even fewer words, but loved for his stoic badassery), and it’s a joy to see him return. 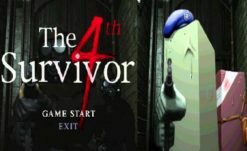 It was confirmed from day one that The 4th Survivor would be returning, and it’s nice to finally get a look at it. 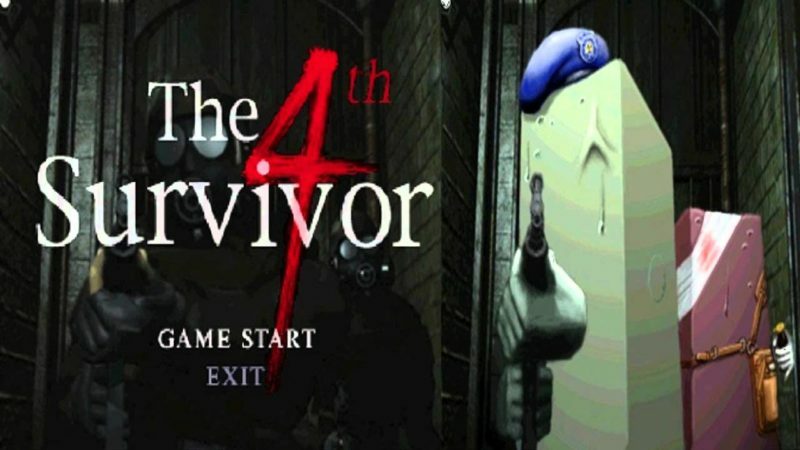 Trivia fun: the title has multiple meanings — he’s literally the fourth person to escape Raccoon, but the number 4 also carries the same negative connotations in Japan as the number 13 does in Western culture (partly due to being very similar to the Kanji for the word ‘death’). HUNK is referred to in-universe as the Grim Reaper, or Mr. Death, both due to his prowess as an expert assassin, but also his routine capability of being the lone survivor of missions he’s dispatched on. “Death cannot die”, after all. On the polar opposite of that mode’s badass seriousness, is The Tofu Survivor. 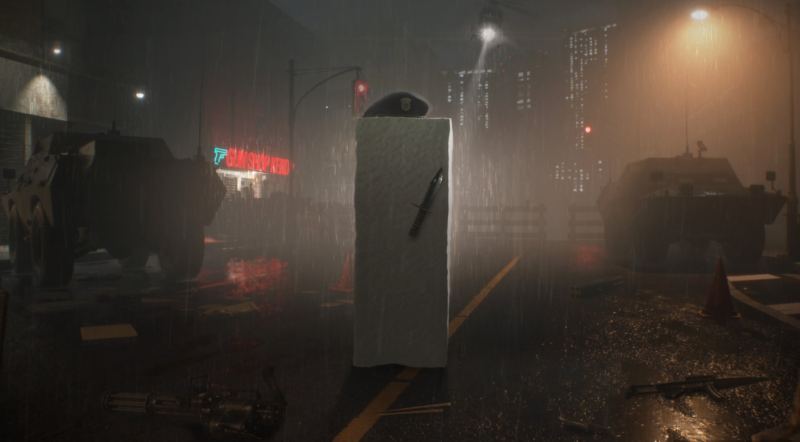 Unlocked for getting an A rank on The 4th Survivor in the original game, this joke mode sees us play as… uh, well, a giant brick of uncooked Tofu. While being essentially the same as The 4th Survivor (replacing HUNK with our favorite wobbly friend), it has the added challenge of Tofu’s inventory being limited to a knife and a handful of herbs. This completely non-canon joke mode is probably some of the ultimate RE street cred out there, being one of the hardest challenges in the entire series (yeah yeah people can do it without being hurt, and to them I say I wish I was a wizard too). Tofu doesn’t get as much recognition in the series as HUNK, but he’s well known by die-hard fans as being RE at it’s goofiest best. More trivia fun: Tofu was originally designed as a white rectangle used for testing collision detection in the game, I.E. a real, physical hit-box the developers could see. They spent so long testing with it rather than the actual playable characters that the developers grew fond of him and turned him into Tofu for his own secret mode. I’m overjoyed to see how damn good they both look in RE Engine, although HUNK especially. While RE Engine gets all the credit it rightfully deserves, it also deserves full credit for how damn well it handles inorganic materials. That first image of HUNK is incredible looking, almost looking real. I can’t wait to try these modes out for myself, as the main story has added a lot to the lore and design, I really hope we get to see more come out of The 4th Survivor (The Umbrella Chronicles re-telling of it added some great stuff with HUNK’s radio short-circuiting) than the basic story of a race from point A to B. 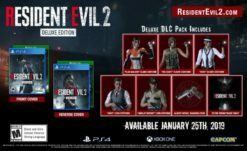 There are more pics in the source, and of course all of this will be on-disk, no DLC required, when RE2 Remake releases January 25th.